May was a busy month! 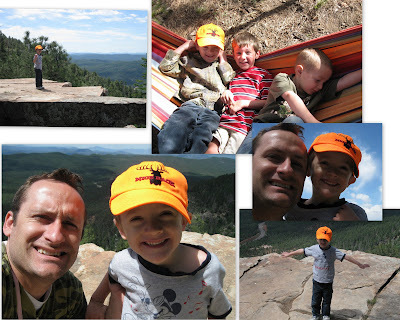 Ryan and Cole went on our ward's Father & Son camp out and had a lot of fun! When I saw the pictures of Cole on the cliff I almost fainted, but I know Ryan was right there with him. They had a great time hanging out together and with the other dads and sons that were there. Cole keeps talking about camping all the time, so I guess we'll have to go as a family soon!! Hurray for Fathers and Sons! Ya, that would scare me too to see my child next to the ledge of a cliff, I have nightmares even about them falling down the stairs!